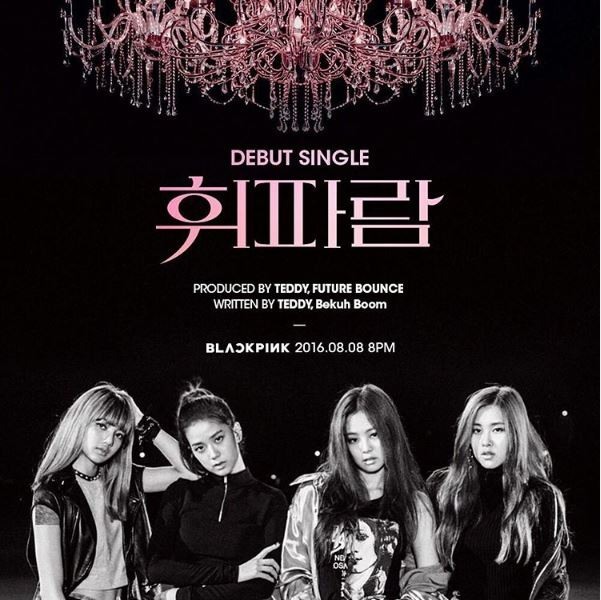 YG Entertainment‘s highly anticipated upcoming girl group Black Pink is finally set to debut on Monday, with two songs and two music videos. 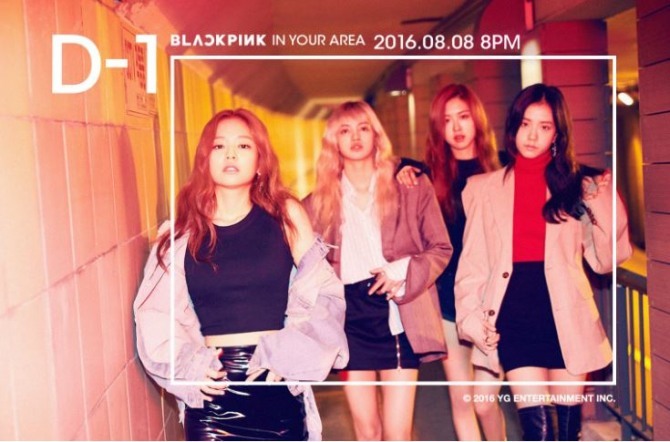 YG Entertainment revealed two teaser images for Black Pink’s debut single “In Your Area,” as well as the final countdown poster which reads “D-1” in bold. 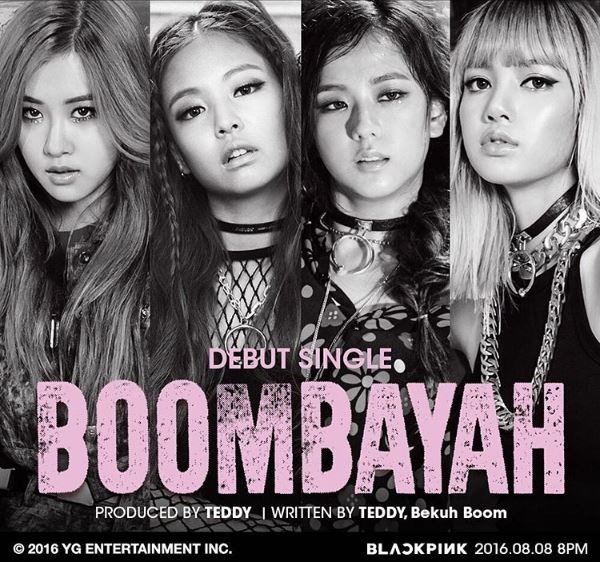 The teaser images unveiled the names of two of their tracks, “BOOMBAYAH” and “Whistle,” which were both produced by Teddy. Bekuh Boom and Future Bounce are also listed as producers for the upcoming tracks. “BOOMBAYAH” is expected to be a summer banger, with an up-beat tempo and hip hop beats, meanwhile “Whistle” is a minimal hip hop track with touching lyrics about love. Both the tracks, as well as their corresponding music videos are scheduled to be released on Monday.